Celestial artistry is evident in the immaculate craftsmanship infused into the EMINENCE shrug. A waist-cinching aesthetic is portrayed courtesy of the powerful peplum silhouette and button back fastening. 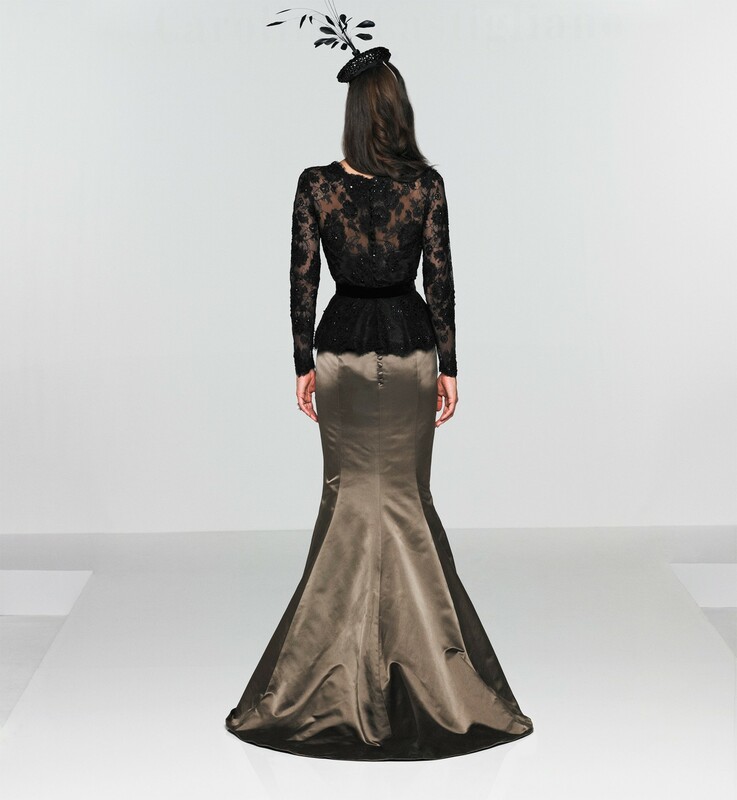 Silk duchess satin adorns the mesmerizing fishtail skirt resulting in a glamorous take on evening elegance.